Comerica Park is the site of the matchup between the Minnesota Twins and the Detroit Tigers on Saturday, September 23, 2017. The probable starting pitchers are Ervin Santana for the Twins and Matt Boyd for the Tigers. Minnesota opens at -148 while Detroit opens at +138. The Twins have a 69-75-9 over/under record and a 81-72-0 run line mark. The Tigers are 70-83-0 against the run line and have a 83-64-6 over/under record. The Twins have a 79-74 overall record this season. Starting pitcher Ervin Santana has a 15-8 record with an earned run average of 3.34 and a WHIP of 1.14. He has 161 strikeouts over his 199.1 innings pitched and he's given up 166 hits. He allows 7.5 hits per 9 innings and he has a FIP of 4.53. The bullpen has an earned run average of 4.48 and they have given up 538 base hits on the year. Teams are hitting .259 against the bullpen and they've struck out 452 hitters and walked 180 batters. As a team, Minnesota allows 9.4 hits per nine innings while striking out 7.3 batters per nine innings. They are 22nd in the league in team earned run average at 4.65. The Twins pitchers collectively have given up 1,414 base hits and 701 earned runs. They have allowed 212 home runs this season, ranking them 5th in the league. Minnesota as a pitching staff has walked 467 batters and struck out 1,101. They have walked 3.1 men per 9 innings while striking out 7.3 per 9. They have a team WHIP of 1.39 and their FIP as a unit is 4.74. As a team Minnesota is hitting .259, good for 12th in the league. The Twins hold a .432 team slugging percentage and an on-base percentage of .334, which is good for 7th in baseball. They rank 13th in MLB with 8.8 hits per game. Eddie Rosario is hitting .289 with an on-base percentage of .326. He has 148 hits this season in 512 at bats with 73 runs batted in. He has a slugging percentage of .508 and an OPS+ of 118. Brian Dozier is hitting .258 this year and he has an on-base percentage of .346. He has totaled 152 hits and he has driven in 85 men in 590 at bats. His OPS+ is 116 while his slugging percentage is at .473. The Twins have 1,354 hits, including 266 doubles and 194 home runs. Minnesota has walked 570 times so far this season and they have struck out 1,254 times as a unit. They have left 1,088 men on base and have a team OPS of .766. They score 4.99 runs per contest and have scored a total of 763 runs this year. Detroit has a 62-91 overall mark this year. With an earned run average of 5.33, Matt Boyd has a 6-10 record and a 1.57 WHIP. He has 99 strikeouts over the 123.1 innings he's pitched. He's also given up 146 hits. He allows 10.7 hits per nine innings and his FIP stands at 4.45. The bullpen has an earned run average of 5.58 and they have given up 558 base hits on the year. Teams are hitting .279 against the Tigers bullpen. Their relievers have struck out 441 batters and walked 229 opposing hitters. As a team, Detroit allows 10.1 hits per nine innings while striking out 7.6 batters per nine innings. They are 30th in the league in team earned run average at 5.34. The Tigers pitchers as a team have surrendered 1,505 base knocks and 797 earned runs this season. They have given up 207 home runs this year, which ranks 9th in Major League Baseball. Detroit as a staff has walked 511 hitters and struck out 1,141 batters. They give up a walk 3.4 times per 9 innings while they strike out 7.6 per 9. Their team WHIP is 1.50 while their FIP as a staff is 4.73. As a team, they are batting .260, good for 10th in the league. The Tigers hold a .429 team slugging percentage and an on-base percentage of .327, which is good for 13th in baseball. They rank 10th in MLB with 8.9 hits per contest. Ian Kinsler comes into this matchup batting .234 with an OBP of .313. He has 123 hits this year along with 47 RBI in 525 AB's. He maintains a slugging percentage of .406 with an OPS+ of 89. 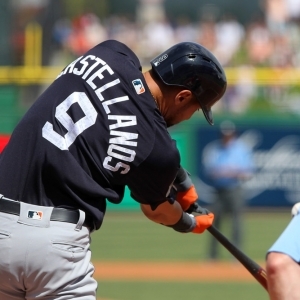 Nicholas Castellanos is hitting .269 this season and he has an OBP of .318. He has collected 156 hits in 580 at bats while driving in 94 runs. He has an OPS+ of 109 and a slugging percentage of .486. The Tigers as a team have 1,368 base knocks, including 282 doubles and 180 home runs. Detroit has walked 484 times this season and they have struck out 1,243 times. They have had 1,059 runners left on base and have an OPS of .756. They have scored 4.63 runs per contest and totaled 708 runs this season. Who will win tonight's Twins/Tigers MLB game against the spread?